Kosovo is a democratic Republic based on the principle of separation of powers and control and balance between them. The activity of the bodies of local self-government is based on the Constitution and laws of the Republic of Kosovo and respects the European Charter on Local Self-Government. Local government institutions and elected officials, often lacking in capacity and experience, fail to establish and implement effective mechanisms and mechanisms that enable dual communication between them and voters, and as a result produce policies and decisions that reflect citizen’s contribution. Citizens, often indifferent to these rights and mechanisms, remain at the margins of decision-making processes. Impact on policymaking becomes even more challenging for rural voters, especially for women and national minorities, and this inevitably hampers democratic development of local self-government. The Local Government Program and Citizen Participation (LMPC) is designed on this need and aims to intervene to fill this vacuum by maximizing its potential in civic education and civic activism to exert influence on government policies and to ensure a check on local government. CSLAP through monitoring, advocacy, civic mobilization, drafting of alternative public policies, capacity building of public officials and NGOs aims to open the way for citizen participation in political processes and make their voices heard and translated into decisions useful for them. CSLW will continue to engage in facilitating and conducting constructive dialogue between voters and electives, and transforming this communication into a culture of participatory democracy and a functional, transparent and inclusive local governance. 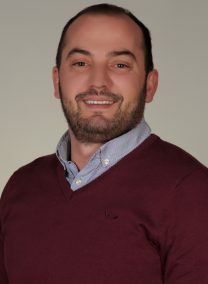 Ahmet joined Kosova Democratic Institute (KD) in 2016. He has more than 12 years of experience working in international and local organizations, managing projects dealing with socio-economic development of the society and communities, youth empowerment and their inclusion in social and political processes, and also has experience in banking sector. Currently at KDI Ahmet is managing the project for empowerment of first-time voters and political accountability. The project managed to increase youth participation in addressing their issues and working with political parties and institutions to include youth priorities into their agenda. Ahmet is also part of the local election observation team “Democracy in Action”. Naim Cahani joined KDI in 2009 as a project manager and coordinator in ‘’Local governance and civic participation’’ program. He has graduated in the University of Prishtina – faculty of law. 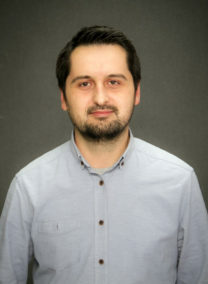 He’s currently an MA candidate in local governance and democratic society in a common program of 3 different Universities – The University of Prizren, University of Peja and University of Gjilan). He’s also an Msc candidate in the South-East European University in Macedonia – faculty of law. Mr.Cahani is very much experienced in local democracy such as: strengthening capacities of NGOs and local officials, analysing and drafting the local legislation, advocacy and civic participation, electoral processes monitoring and in gender equality issues. He’s currenty engaged as a project manager in “Local governance and civic participation” program. 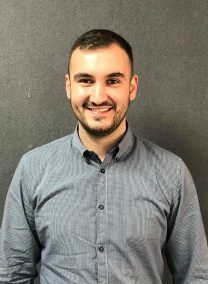 Krenare Loxhaj joined the KDI team beginning August of 2018 as a project officer in the project increase accountability of local government institutions in Kosovo. 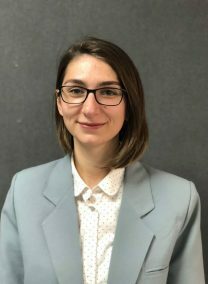 She recently finished her Master’s degree in Women’s and Gender studies at the University of Northern Iowa, whereas she studied her Bachelor’s degree at the University of Prishtina in the Political Science department. Krenare was earlier engaged as a project advisor at the GIZ headquarters in Prishtina and as a researcher the Kosovo Center for Security Studies. She also has experience in other fields of research implemented by other local and international organizations. Arjeta joined KDI on September of 2018. She finished her Bachelor studies at the University of Prishtina at the program of Political Studies. 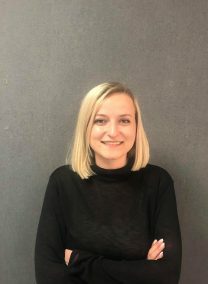 She was earlier engaged as a project assistant in the project for monitoring and the process of reintegration in Kosova and worked in various tasks within the legal and economic sector. Arjeta is now part of the project increase accountability of local government institutions in Kosovo as the field coordinator for the municipalities of Mitrovica and Obiliq. 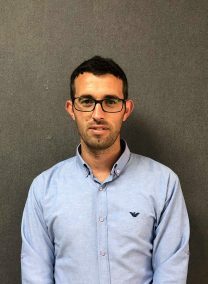 Përparimi became part of the KDI team begining September 2018, as part of the project “Increase accountability of local government institutions in Kosovo” as field coordinator for the municipalities of Drenas and Klina. He graduated with a Bachelor degree at the University of Prishtina, in the department of Journalism. Earlier on, Perparim was engaged as a journalist at ‘Gazeta Lajm’ and the online outlet ‘Lajmi’. 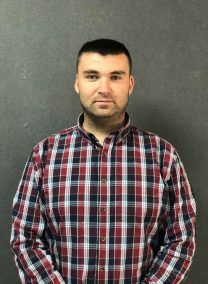 Besjan joined KDI team during 2018, where is initially began his internship as a monitoring officer in the Kosova Assembly within the program increasing the transparency and accountability of the elected officials. Currently, he is finishing his Bachelor studies at the University of Prishtina, at the department of Political. Besjan joined the project increase accountability of local government institutions in Kosovo as the field coordinator for the municipalities of Kamenica and Viti.